Harman Professional’s UK and ROI audio distributor, Sound Technology, has announced that the new JBL Intonato 24 Monitor Management Tuning System is now shipping in the UK. JBL Intonato 24, which received its debut earlier this year at the BVE Show, is the company’s newest solution for easy set up, automated calibration, and complete control of monitoring systems in stereo, surround, and immersive audio production rooms. Housed in a 2U rack-mount enclosure and shipping with extensive I/O capabilities, Intonato 24 can calibrate and control systems of up to 24 speakers with customised recallable routing of up to 24 sources selected from 24 dedicated analogue, 24 digital and 256 networked audio sources. Included software and an optional Desktop Controller (due later in 2017) lets users make full use of the system’s powerful monitoring features. Intonato 24 includes a calibration microphone and Automated Speaker Calibration process that “tunes” each speaker to compensate for speaker placement and room acoustics, delivering neutral response to the mix position–even in less-than-ideal work spaces. 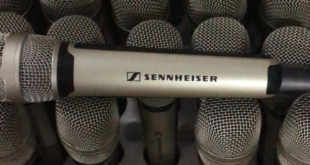 This gets around room-related low-frequency issues and precisely matches the level and “time-of-flight” from each speaker to the mix position. 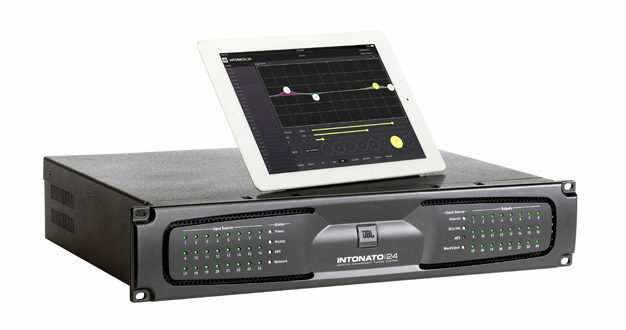 With the power to manage monitoring systems of up to 24 speakers – including up to four subwoofers that can be assigned as “Bass Management” subs with selectable crossover settings – Intonato 24 is compatible with all monitoring formats including stereo, 5.1, 7.1 and makes immersive monitoring possible in any control room. In addition, the system is able to patch, route, and selectively monitor any combination of 24 analogue, 24 digital and 256 networked sources including Dante via an optional interface. A graphical user interface also lets users control Intonato 24 from Mac, Windows, and a range of tablets. 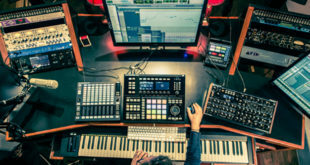 Complete configurations, including speaker setup parameters, EQ, subwoofer settings, input source patching, and down-mix preferences can be stored as “profiles” and “scenes” and instantly recalled (even mid-session) to meet the requirements of specific projects and clients. While Intonato 24 was designed as the hub of JBL’s new 7 Series installed reference monitor system, the unit can be used with any passive or powered speaker. 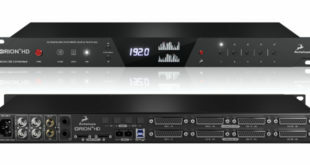 In addition, Harman BLU link network protocol allows Intonato 24 to be digitally networked with Crown power amplifiers and an assortment of system components.